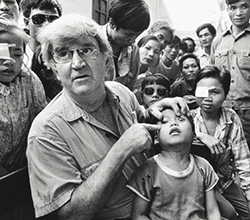 The Fred Hollows Foundation is a leading Australian NGO inspired by the work of the late Professor Fred Hollows (1929–1993). Fred was an eye doctor, renowned surgeon and famous Australian. Fred was committed to improving the health of Indigenous Australians and delivering sight-saving programs in developing countries to end avoidable blindness. 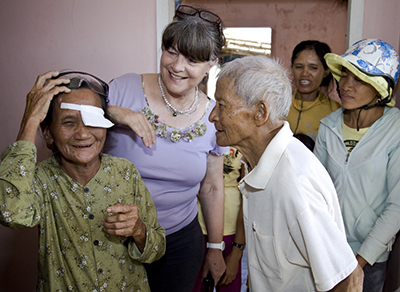 Through The Foundation's program work in over 25 countries across Australia, Asia and Africa they have restored sight to over 2 million people. Simple interventions for as little as HK$150 can restore people’s sight, productivity and livelihoods, giving lasting benefits for individuals, their families and whole communities. Their new regional office in Hong Kong will support The Foundation's program work in Greater China and Asia with best practice projects, strategic relationships, advocacy and fundraising. 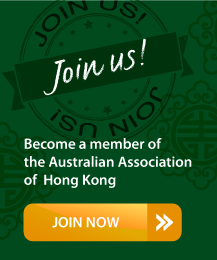 The Australian Association is delighted to be partnering with The Foundation is support their amazing work in Hong Kong and beyond. To donate, volunteer or find out more information, please visit www.hollows.org.hk or email Sally Hasler at shasler@hollows.org.